‘Tis the season for the 90’s reboots. Or so it seems. 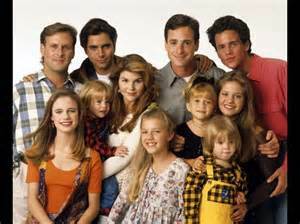 First, we found out that Full House is coming back on Netflix with a new series, Fuller House, following an all-grown-up DJ, Kimmie, and Stephanie in their lives dealing with love, loss, and finding happiness. And I must say that I am just as excited as the next retro-lover about seeing our favorite wholesome family in this new phase of their lives. And the best part is that everyone-minus the Olsen twins-have officially signed on to reprise their characters. I feel that that is the key to bringing back an older show and being successful with it. It has to stay true to the original and that means having the same actors playing the same characters. The characters must show that they have evolved during the years that they were absent from our screens, but ultimately, we want the new versions to still remind of us of the originals. Occasionally, a show can bring in a different actor for a familiar role but it’s rare so sticking with the ones we know and love is integral. 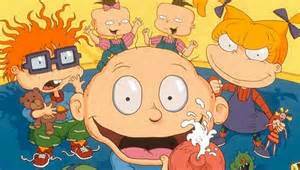 All over social media lately is the rumor that Nickelodeon may be bringing back some of our beloved 90’s cartoons such as Rugrats and Hey, Arnold. In an interview with Variety, Russel Hicks-the President of Content and Development, said, “We are looking at our library to bring back ideas, shows that were loved, in a fresh new way.” This statement is exciting and terrifying at the same time. As a mom, I would love to see both of these shows back on the air with new episodes because I want my daughter to love them as much as I did growing up. However, I do not want the shows brought back and changed so significantly that they are essentially different shows with the same character names. For instance, I love Boy Meets World yet I cannot watch even one episode of Girl Meets World. And yes, I do blame the fact that it is “Disney-fied” for this complete injustice to Boy Meets World. Hopefully, since Nickelodeon is bringing the show back itself we can avoid the pitfall of having a new station completely change the essence of a show. So the question becomes are we ready for all of these reboots that are already in the works as well as the ones that we haven’t even heard about yet? Honestly, I am not sure. The inner child in me wants these reboots so badly…but I cannot bear to have some of my favorite childhood shows be butchered. So a large part of me wants to just preserve my childhood memories and just watch old episodes whenever I am feeling nostalgic. But I am going to try not to be selfish. This new generation of kids coming up needs access to better quality TV than they have right now. The cartoons that are on air right now are nowhere near as good as what I grew up with! Most are actually quite idiotic. So for the sake of kids everywhere, I say bring on the reboots. But please do not destroy my childhood memories!! P.S. While we are getting some reboots, can we please get a Fresh Prince of Bel Air reunion?!? Will you watch any of the new reboots coming? Which ones are you most and least excited to see? And what show would you want to see added to the list of upcoming reboots? This entry was posted in Dani, Other Stuff and tagged Fuller House, hey arnold, reboots, rugrats. Bookmark the permalink. I completely agree. It would definitely be missing a key piece of what made the show great! Everything seems to be getting rebooted these days. It really does. Apparently, if it worked once, the bigwigs just want to keep it going! I think it’s time for some originality. Thanks, I love visiting this site. Been talking mainly to T Mack, who is amazing. She really is a great supporter of my blog, hope you like it too. Absolutely! I look forward to checking out more! Thanks for that, I do hope you like my stuff.